John Quinn is currently offering an impressive four bedroom detached residence at Tooreeny, Moycullen. The property, which has just come on the market, is located just off the Barna/Moycullen road. 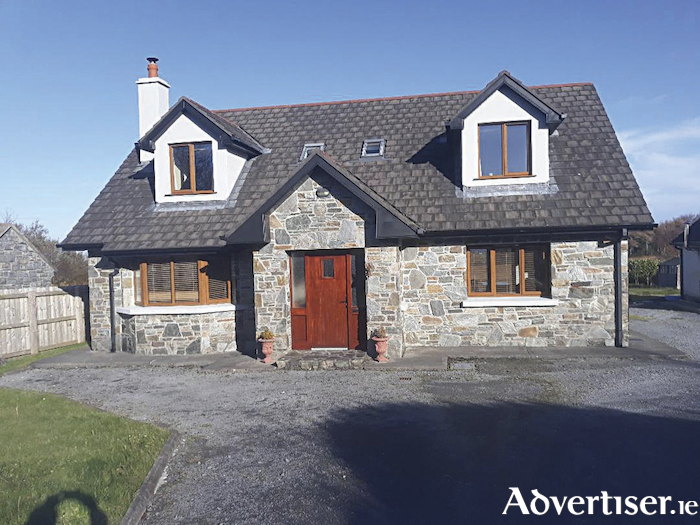 The property which is in pristine condition is well located in relation to all local schools in the region and enjoys easy accessibility to Moycullen village and equally is less than five/six minutes' drive to the city centre. The property features a magnificent kitchen area with top class units and centre island, fabulous tiling, and built-in appliances. There is a beautiful en suite off the master bedroom and a lovely sitting room with solid fuel stove. The property is heated by means of underfloor heating and is situated on a lovely site, which incorporates ample carparking to the front and garden area to the rear with very attractive decking.